As exciting as LunaCE was, things really heated up after the release of Open webOS 1.0. 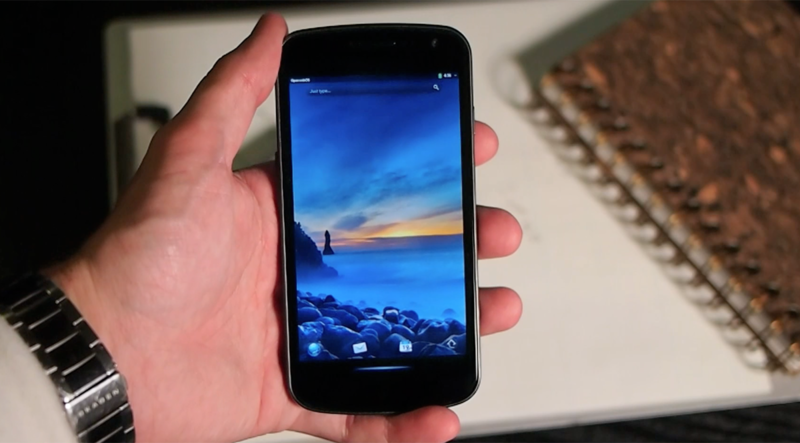 Within a few hours of the official release the WebOS Ports team demonstrated the operating system booting and running on a Samsung Galaxy Nexus - an Android smartphone. Things have progressed nicely since then for being a rag-tag band of homebrew developers, with the addition of a virtual gesture area, phone-size tweaks, a phone-appropriate virtual keyboard (a first for webOS), and more. Most recently, the WebOS Ports team succeeded in booting Open webOS on the Asus Nexus 7 tablet - another Android device. While the Galaxy Nexus and Nexus 7 have taken above-the-fold headline status for Open webOS homebrew development, it's worth remembering that there are a number of porting projects happening simultaneously. Among them are efforts to bring Open webOS to the Asus Transformer Prime, Barnes & Noble Nook Color, Raspberry Pi, and Samsung Series 7 Slate. While WebOS Ports is taking the public lead on the porting process, HP's been offering plenty of behind-the-scenes assistance. After all, they know the code better than anybody else, and the more devices that get booting to Open webOS, the better it is for the future of everybody's favorite neglected mobile operating system. Notably, HP's also offered considerable material support to WebOS Ports, donating five high-powered servers to assist in their efforts. And let's not forget about the efforts of the webOS community to support WebOS Internals and WebOS Ports - through August and September of 2012 the community banded together for the third Web-a-thon, raising more than twelve thousand dollars for the homebrew operation. Looking back at the past year of open source webOS it's easy to wonder why more didn't happen. It's worth remembering that webOS wasn't designed with the intention of being open source - the process of cleansing webOS of third-party material and cleaning up code to meet open source standards (one is expected to release clean and organized code when open sourcing so others can easily see and understand what does what so they can use utilize the code) was an arduous one - not helped by the dwindling headcount at the webOS GBU (since somewhat stabilized). While one could do things with Isis or Nyx or Enyo 2.0, the real action couldn't happen until the entirety of Open webOS hit the scene. Since that full release on 26 September 2012, things have been kicked into high gear, with the homebrew scene working on bringing Open webOS to an ever-expanding ecosystem of devices and the webOS team at HP working on the next iterations of webOS. It's an exciting time for webOS. We've said that a lot over the years, but at this point the future of Open webOS is more assured than it ever was before. With the entirety of the operating system now in the open source realm, our favorite mobile OS will continue to exist, even if HP decides tomorrow that they're going to cancel further development. After one year of open sourcing Open webOS, we're looking forward to the coming year. Surely, it will be an interesting one - what year for webOS hasn't been?